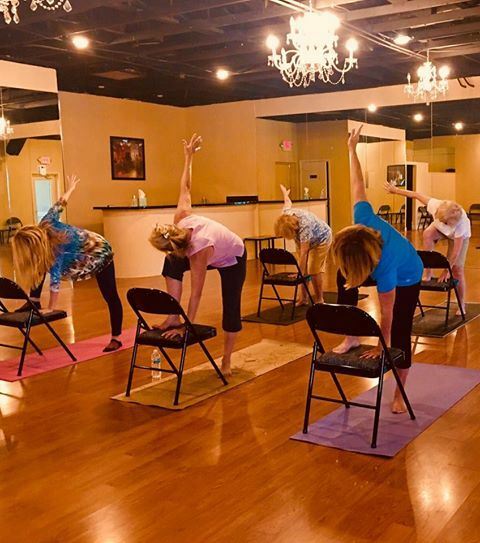 Wednesday morning chair yoga classes at Green Tara Yoga are taught by Mary Veal, who is a E-RYT500. Can’t get down on the floor? Well, you don’t need to! Chair Yoga adapts yoga poses to your body through creative use of a chair. practice yoga with more support and stability. Poses are done seated on the chair or the chair is used for support during standing poses and balancing. Chair Yoga is suitable for all ages, fitness levels and physical conditions and especially beneficial for people with physical limitations. This is a 1 hour class.